Sydney is a special place to visit at any time of year, but it’s particularly memorable while Vivid Sydney is taking place. The city will be lighting up with kaleidoscopic colours and creative events each day and night from 25 May to 16 June of this year. If you haven’t reserved your Vivid Sydney accommodation then it’s a very good idea to do so now, because the best options always tend to book up fast! 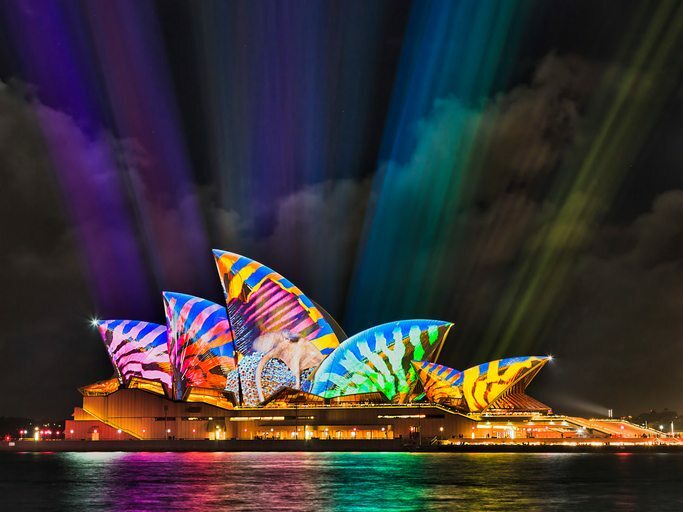 Vivid Sydney is centred primarily around the water and its hubs are Circular Quay and Darling Harbour, with satellite events taking place further out in Chatswood and at Taronga Zoo. The right choice of hotels in Sydney will place you near the city centre or riverside so you can cruise to every event. By staying in the city you’ll be able to easily walk to Vivid Sydney’s many free and ticketed events. We can recommend our Kent Street, World Tower, Campbell Street and Pitt Street Sydney accommodation options for their ideal proximity to Darling Harbour and The Rocks, where many of the Vivid events and artworks will be found. North Sydney is also an amazing spot to see the Sydney Opera House and cityscape light up in rainbow colours. Further out, there’s also Chatswood where you can catch the action at the Concourse and shopping centre. 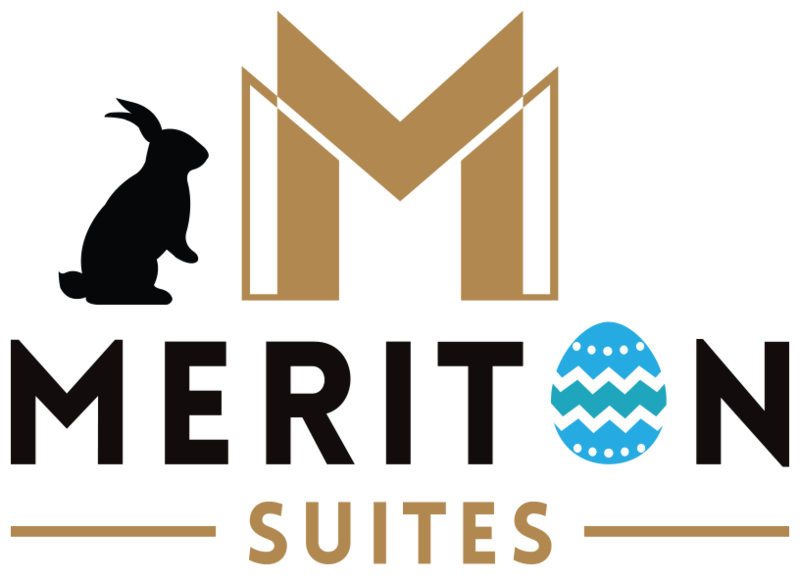 Meriton Suites accommodation offers complimentary Wi-Fi, luxury skincare and haircare items and spacious, lush interior styling for your stay. You’ll also have your own in-suite kitchen and a gym and laundry in the building, so why not book for a few days longer and take in the local Sydney sights? You also don’t need to stay right in the city to experience Vivid Sydney in a unique way. By staying at Meriton Suites luxurious accommodation in Parramatta Sydney you’ll be able to easily cruise to and from Circular Quay, with regular ferries departing from Parramatta Wharf. If there are a few of you, you could even book a custom cruise at night to view the lights from your private vantage point. Have questions about locations? Call our reservations team on +61 2 9277 1111.